Law Web: When appeal will lay before district Judge from order passed by civil judge senior division in probate proceeding? When appeal will lay before district Judge from order passed by civil judge senior division in probate proceeding? 255. (i) Under Section 265 of the Indian Succession Act, 1925 the High Court has appointed all Civil Judges to act for the District Judge as delegates to grant probate and letters of administration in non-continuous cases arising within the local limits of their respective jurisdiction. (ii) In exercise of the powers conferred by Section 28-A(1) of the Bombay Civil Courts Act (XIV of 1869), the High Court has invested all Civil Judges (Senior Division), with all the powers of a District Judge to take cognizance of any contested proceeding Indian Succession Act 1925, within the local limits of their respective jurisdiction that may be transferred to them by their respective District Judges." "28-A (1) The High Court may by general or special order invest any Civil Judge within such local limits and subject to such pecuniary limitation as may be prescribed in such order with all or any of the powers of a District Judge or a District Court as the case may be under the Indian Succession Act, 1865, the Probate and Administration Act, 1881 or paragraph 5 of Schedule III to the Code of Civil Procedure, 1908. (2) Every order made by a Civil Judge by virtue of the powers conferred upon him under sub-section (1) shall be subject to appeal to the High Court or the District Court according to the amount or value of the subject-matter exceeds or does not exceed fifty thousand rupees. (3) Every order of the District Judge passed on appeal under sub-section (2) from the order of a Civil Judge shall be subject to an appeal to the High Court under the rules contained in the Code of Civil Procedure applicable to appeal form the appellate decrees." 7. No doubt is left on careful perusal of the said section that the order passed by the Civil Judge, Senior Division on application under Section 276 of the Indian Succession Act having a valuation of Rs. 10,000/- i.e. less than Rs. 50,000/-, the appeal against the said order lay before the District Court and the appeal filed by the respondents before the Additional District Judge was maintainable and it cannot be said that no appeal lay before him. 1. The legality and correctness of the passed by the 2nd Additional District Judge, Amravati on 10th April, 1987 reversing the order passed by the Civil Judge, Senior Division, Amravati on 18-2-1983 is under challenge in this revision application. 2. The only contention raised by the learned senior counsel for the applicant is that the Civil Judge, Senior Division, Amravati while deciding the petition for probate under Section 276 of the Indian Succession Act was discharging the duties of the District Judge and therefore no appeal lay before the District Judge and the judgment passed by the Civil Judge, Senior Division, Amravati on 18th February, 1983 could have only been challenged before the High Court. In this connection the learned counsel for the applicant placed reliance on paragraphs 254 and 255 of the Civil Manual. 3. Per contra, Mr. Udhoji, the learned counsel for the respondent No.1 submits that since the judgment was passed by the Civil Judge, Senior Division, Amravati in the petition for probate under Section 276 of the Indian Succession Act with regard to the will subject matter of which was valued at Rs. 10,000/-, appeal against the judgment could only lie before the District Judge having jurisdiction over the matter and the respondent No. 1 herein rightly challenged the judgment passed by the Civil Judge, SD, Amravati on 18-2-1983 before the District Judge, Amravati who had jurisdiction over the matter Mr. Udhoji in this connection also relied on paragraphs 254 and 255 (old) (new para 305) of the Civil Manual and he also submits that in view of Section 388 of the Indian Succession Act, 1925 the appeal could lie only before the District Judge and not to this Court as submitted by the learned counsel for the applicant. 4. In view of the short controversy involved about the maintainability of appeal before the Additional District Judge who passed the order on 10-7-1987 impugned in the present revision application, facts in details are not required to be gone into and suffice it to observe that the present applicant Manohar filed petition under Section 276 of the Indian Succession Act before the Civil Judge, SD, Amravati for grant of probate of will executed by one Vithal Dattatraya Gokhale on 31-5-1959. This petition was contested by the respondent No. 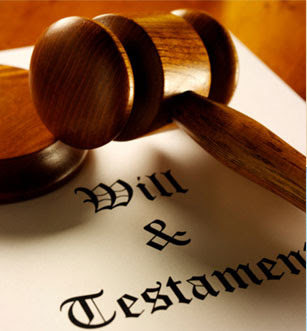 1 and the said Court ultimately by the judgment dated 18th Feb., 1983 granted probate of the will in favour of the applicant. 5. Dissatisfied with the order passed by the Civil Judge, SD, Amravati on 18-2-1983, the respondent herein filed and appeal before the 2nd Addl. District Judge, Amravati. Before the Additional District Judge also the objection about the maintainability of appeal was raised and the Appellant Court found that there was no merit in the said contention and after hearing the learned counsel for parties on merits, reversed the order passed by the Civil Judge, SD, Amravati. Consequently, the Appellant Authority by the order dated 10-7-01987 allowed the appeal field by the respondent herein and set aside the order passed by the Civil Judge, Senior Division Amravati on 18-2-1983. "254. Attention is invited to Government Notification No. 5861 dated the 25th October 19890 issued under Section 26(1) of the Succession Certificate Act (VII of 1889), and printed at page 1259 of the Bombay Local Rules and Orders under Central Acts, Volume I, 1953 edition, under which all Civil Judges in this State have for the purpose of the said Act been invested with the function of a District Court. The notification has also the effect of investing Civil Judges with the power to hear application made under Section 2 Bombay Regulation. VIII of 1827. Although the Succession Certificate Act, 1889, has been repealed, the Notification dated 25th October 1890, remains force by virtue of Section 24 of the General Clauses Act, 1897. Application under Section 2 of the Regulation VIII of 1827 can be entertained by Civil Judges directly or when transferred to them by the District Judges. "388. (1) the State Government may by notification in the Official Gazette, invest any Court inferior in grade to a District Judge with power to exercise the functions of a District Judge under this Part. Provided that an appeal from any such order of an inferior Court as is mentioned in sub-section (1) of Section 384 shall lie to the District Judge, and not to the High Court, and that the District Judge, may, if he thinks fit, by his order on the appeal, make any such declaration and direction as that sub-section authorises the High Court to make by its order on an appeal from an order of a District Judge. 9. The aforesaid provisions and in particular, proviso to sub-section (2) of Section 388 make it more than clear that an appeal form the order passed by the Civil Judge shall lie only to the District Judge and not to the High Court. 10. Therefore, in view of the aforesaid discussion, the Appellate Court rightly concluded that the appeal filed before him was maintainable and the objection raised by the applicant has been rightly negatived. 11. No other point has been raised. 12. There is no merit in the revision application and as a result thereof the same is dismissed with no order as to costs. Rule is discharged.